Banana fritter is one of the most popular snacks or breakfast victuals, that loved the Caribbean or African people. We are kenned well, it’s facile to prepare and you can make in your domicile or picnic place. Nowadays the most of a continent relished as a starter, especially in KERALA CUISINE (INDIA CONTINENT). In Kerala, they used Raw banana instead of ripe banana for this recipe and withal they integrated all spices in it. I don’t cerebrate so. You can accommodate with a scoop of any flavored ice cream that I recommend Vanilla ice cream is the impeccable amalgamation of this. It consists of that, banana marinated with honey, lemon and deep with a batter and fried it. 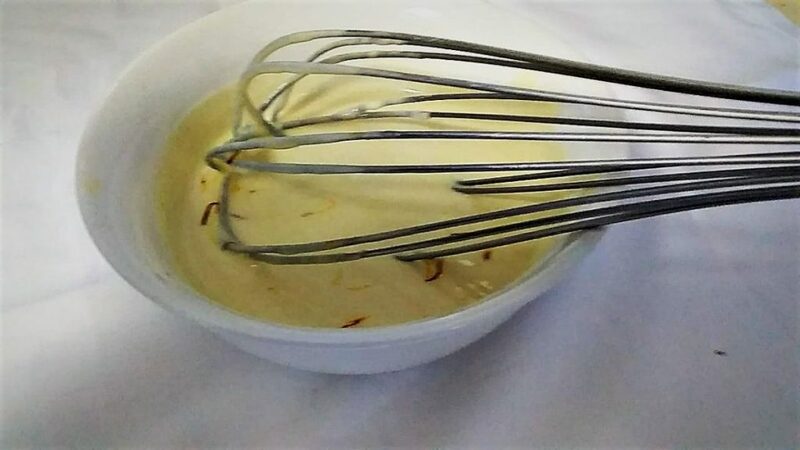 The batter composed of all purport flour, milk, honey, and grated nutmeg or you can integrate other flavored essence or ingredients like saffron, vanilla essence. 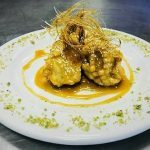 WHICH SAUCE CAN GOES WITH BANANA FRITTER……. It’s up to you, which sauce you relished, but this sauce should be sweet and a little in sour taste. Here I just designated some of the sauces, that you can make it faciely. Its dessert recipe of banana, milk, flour, saffron and honey. 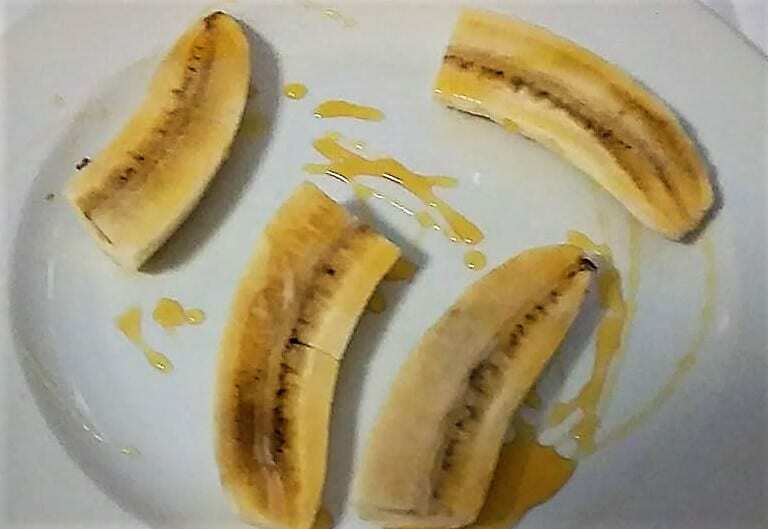 Cut the Banana split into 1/4 pieces, Marinate with honey and lemon juice. Bring one large mixing bowl, add flour, milk, baking powder, one tbsp of sugar, honey and saffron, whisky well and make batter then transfer to a clean bowl. FOR ORANGE HONEY REDUCTION.......Boil fresh Orange juice in a high skillet fry pan with medium over heat, add honey and sugar, let it simmer for a couple of minutes, when it will be reduced then remove from the fire and keep in a bowl. Heat the oil in a large skillet pan to 365 degree F (180 degree C). Deep marinated banana in batter and carefully put into the hot oil and fry until golden brown, flip the banana and continue to golden brown. When fritter is getting ready, remove from the fire and place on the paper napkin for soaking the oil and keep in a plate. 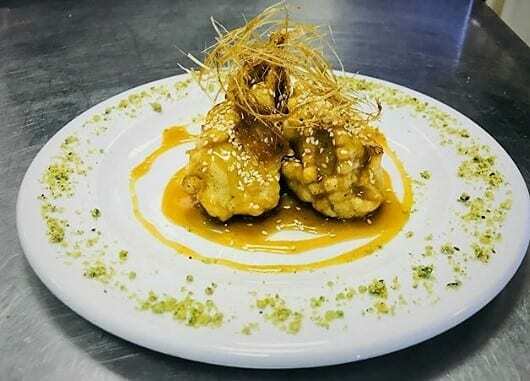 Then keep in a serving bowl and pour orange honey reduction on banana fritter, garnishing with ground pistachio, sesame seeds and caramelized sugar threads.